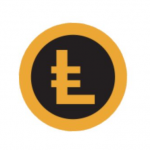 Home » Altcoins » What is iExecRLC Coin (RLC)? What is iExecRLC Coin (RLC)? iExecRLC Coin is a cryptocurrency that specializes in the decentralization of the cloud. It is the first cloud platform to be networked via the Ethereum Blockchain. Its aim is to provide the user with resources and applications in the high performance computing sector on a global peer-to-peer market. iExec is backed by a market capital of $66,901,482 USD. Every day, $7,062,810 USD is invested in Coins on the digital exchanges Bittrex, Liqui, Gatecoin and HitBTC. The price is 0.84 USD per iExec Coin (as of 13.12.2017). In order to provide the user with a platform that is decentralized, secure, transparent and scalable, iExec pursues a clear concept. On the one hand, the company relies on an innovative technology. Through Big Data and High Performance Computing applications, iExec offers its users unlimited access to the necessary infrastructure. Products the company offers are resources such as CPU, storage space or GPU. This makes it possible for everyone to develop their own ideas and developments without having to invest too much money in them, as they only have to rent it through iExec. The company is not only sustainable, but also offers its users lucrative opportunities to integrate into the global and decentralized world market. The technology iExec uses is based on the XtremWeb HEP software, which has been used for public domains in the past. iExec sees potential fields of application for its technologies primarily in virtual reality and the distributed machine learning industry. The names behind iExecRLC Coin are Co-Founder and CEO Dr. habil. Gilles Fedak and co-founder Prof. Haiwu He. Fedak has been INRIA researcher at the ENS-Lyon in France since 2004. The main focus of his research is on parallel and distributed computing. Prof. He is a 100 talent professor at the Computer Network Information Center at the Chinese Academy in Beijing. With their decentralized cloud concept, they want to make the Internet safer, greener and more intelligent. Their vision is to have a decentralised economy in the future. They attach particular importance to sustainability. Similar to the cloud mining concept, where vendors provide servers and computing services for rent or sale, iExec offers resources that are needed to develop decentralized programs on demand via the platform. The idea is to create a virtual cloud infrastructure. The areas of application in the FinTech sector are becoming more and more extensive for developers and companies. Whether Virtual Reality or Distributed Machine Learning, the list of innovations is long and will bring with it many more projects and technologies in the future. The founders behind iExec want to promote this by providing users and developers with the necessary infrastructure in a sustainable and cost-effective manner. As with many other cryptocurrencies, this is done via the secure Ethereum blockchain. iExec takes a big step into the future with its virtual cloud concept. You can’t buy it directly for fiat on any exchange. You can choose the best BTC exchange for your region and buy BTC there, then trade it for RLC on exchanges. Read here how you can quickly convert other coins to bitcoin and the other way around. 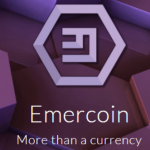 What is Emercoin Coin (EMC)?